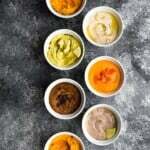 Jazz up your hummus with these 7 amazing hummus recipe flavors! Ready in minutes, no peeling chickpeas or cooking them from scratch required. 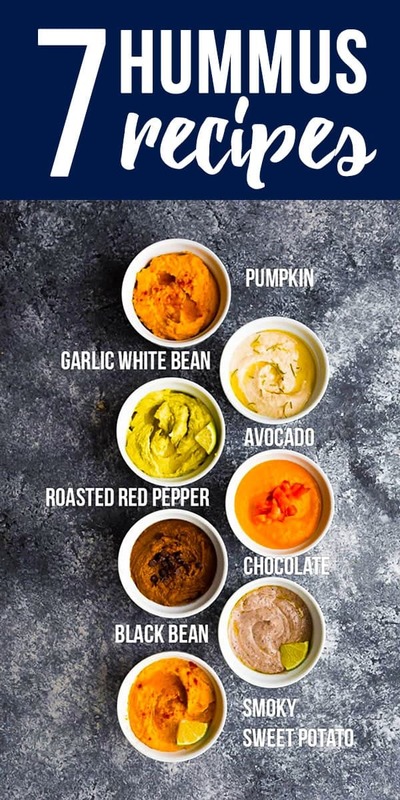 Love hummus but want to spice things up a bit? I have 7 delicious hummus recipe flavors for you, and they are so simple to make, and SO full of flavor! 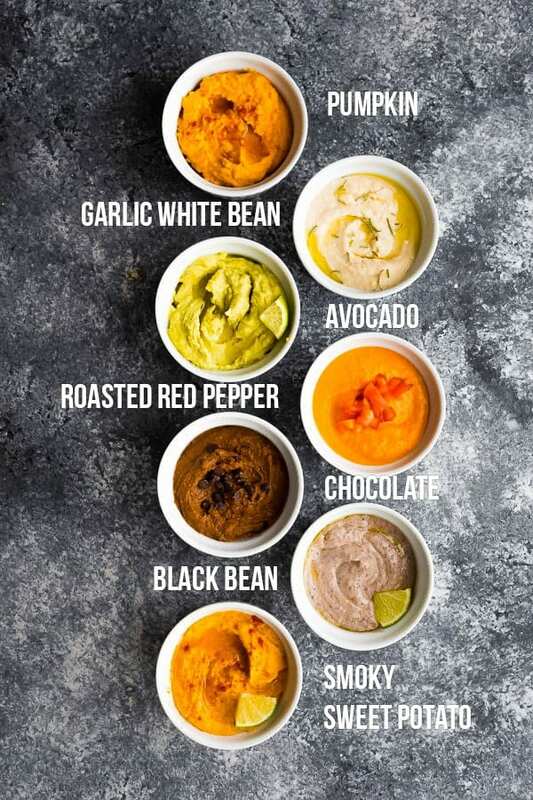 These seven hummus recipe flavors require just a few simple ingredients to bring your hummus to another level, and let me tell you: they taste SO much better than store-bought hummus! 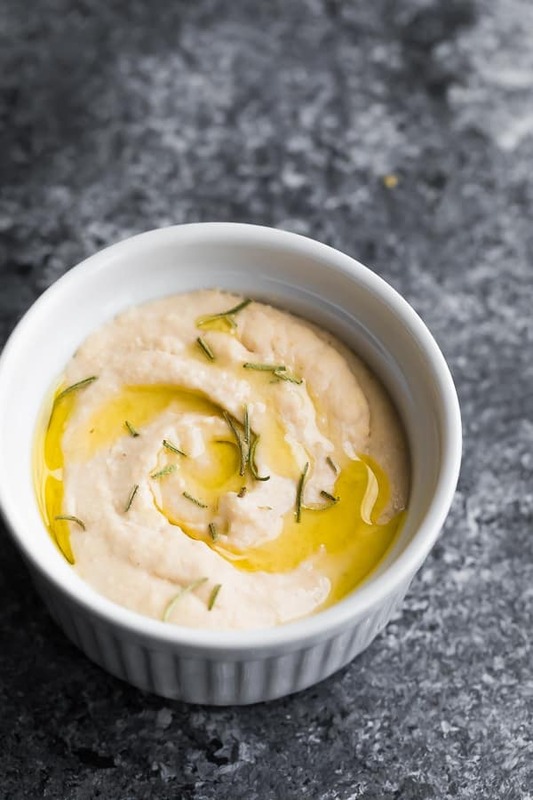 Traditional hummus consists of chickpeas, garlic, lemon juice, olive oil and tahini. I find the flavor greatly enhanced by adding some ground cumin, ground coriander and salt. In a food processor combine all ingredients, EXCEPT for the chickpeas, with 1/4 cup of the liquid from the can of chickpeas. 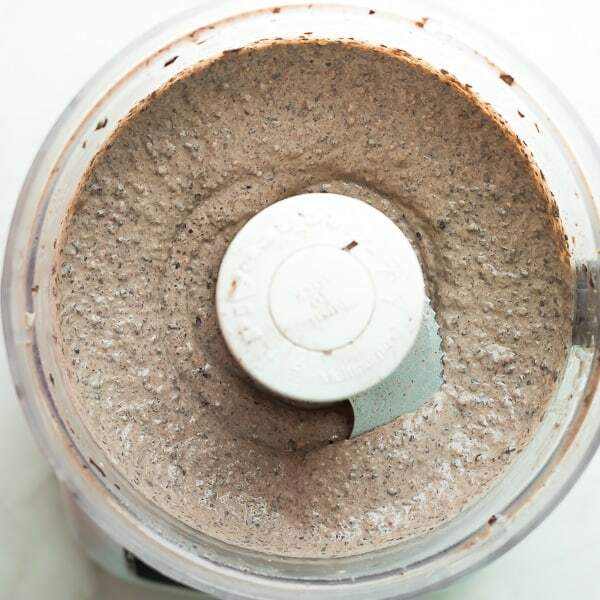 Blend for 1 minute until it is blended and frothy. Add the chickpeas and process for another full minute. Scrape sides of the food processor down with a spatula. Blend for another full minute, drizzling in extra chickpea liquid as needed through the food processor chute. Ta da! Creamy, smooth hummus, using canned chickpeas, and without peeling the skins! 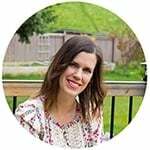 How long are these homemade hummus recipes good for? 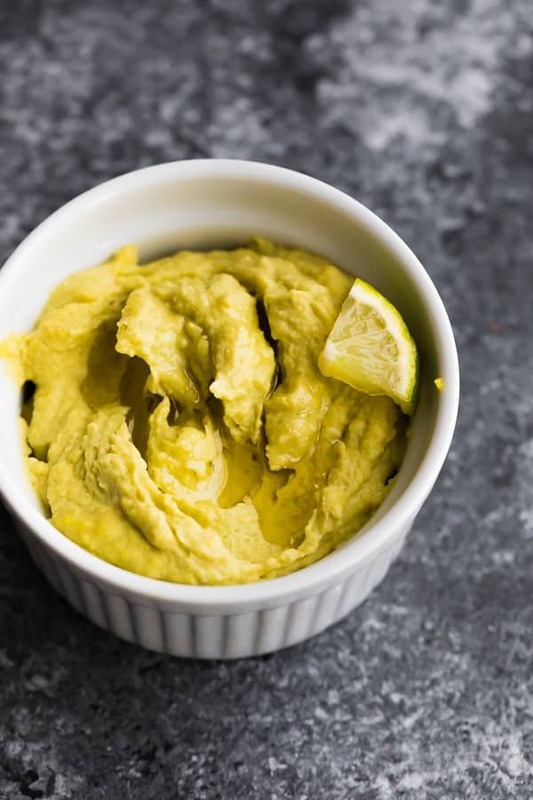 avocado hummus- is best enjoyed the day you make it, as the avocado does start to brown after a night in the fridge. It is also not great after freeze/thawing. all other hummus recipes- may be stored in the fridge for up to 1 week, or in the freezer for up to 3 months. Can hummus be frozen? Yes! I like to freeze mine in mason jars (leave 1/4 empty to account for expansion, and leave the lids ajar until frozen solid). Can I use chickpeas cooked from scratch for these hummus recipe flavors? You absolutely can, and your hummus will be even smoother. Swap the chickpea canning liquid with cooking liquid, but reduce it by half, adding in more at the end if needed. Is hummus healthy? Hummus is filled with healthy, wholesome plant-based ingredients. Hummus is a good source of iron, folate, phosphorus and B vitamins, which are important for those on a vegan diet. Hummus is also a source of antioxidants, fibre, and is has a low GI so it won’t spike your blood sugar. <– Basically, YES! I do consider hummus to be part of a healthy diet. Find more information about the health benefits of hummus here! You do need to be careful with serving sizes, though and I like to portion my homemade hummus out into 1/4 cup (roughly 100 calorie) portions so I don’t go overboard. It’s like guacamole and hummus had a baby! This creamy hummus recipe is perfect served with tortilla chips, spread on a sandwich or even on quesadillas! A lil bit sweet, a lil bit spicy and a LOT delicious! Another great one served with tortilla chips, veggies, or straight off the spoon. 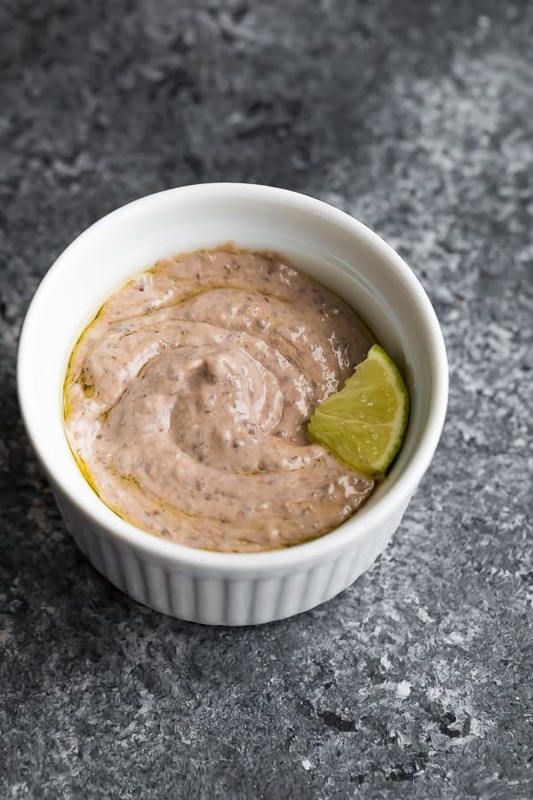 Swap out your chickpeas for black beans and enjoy this super creamy, savory, spicy dip! It’s great served with pita chips and veggies. Slightly sweet, slightly smoky, savory and so creamy! 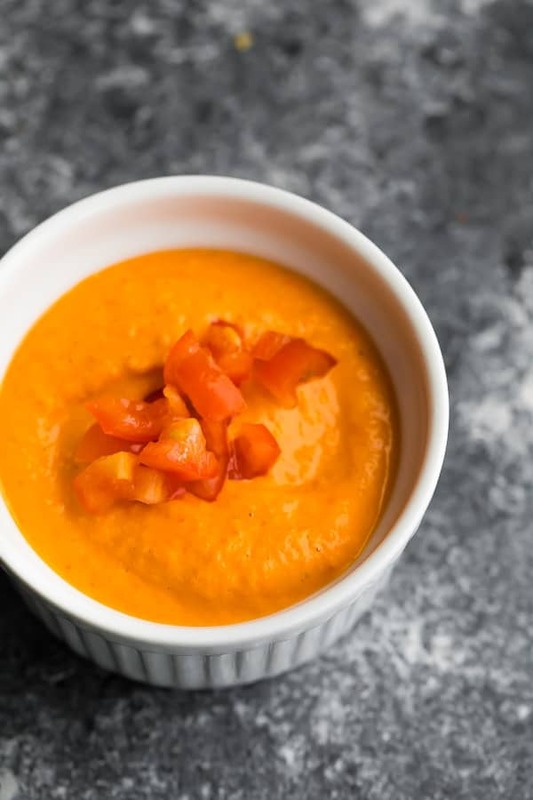 This roasted red pepper hummus recipe is so good topped with fresh tomatoes! Who knew white beans made SUCH a creamy hummus?! 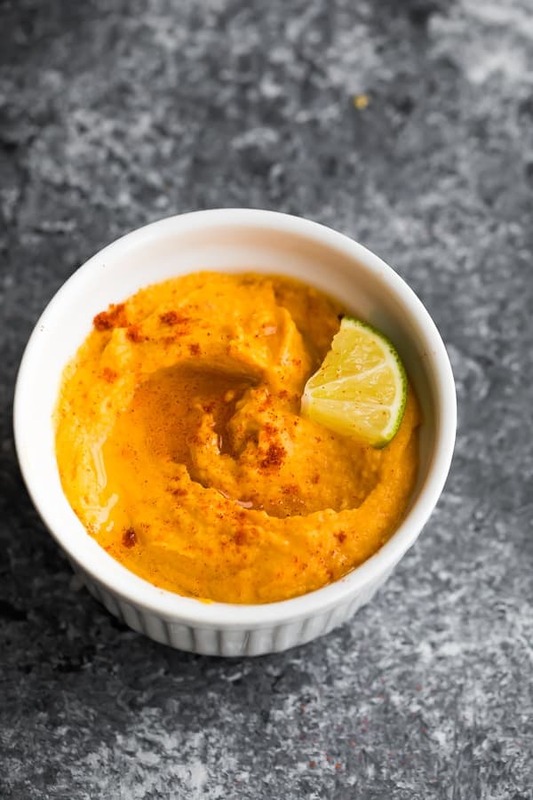 Add in a whole head of roasted garlic and you are set for one seriously delicious dip! This one is unusual but SO good! 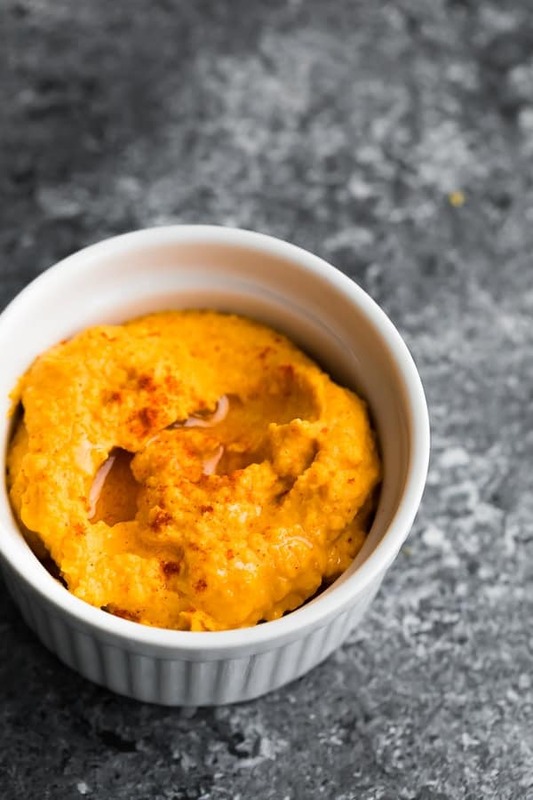 This savory pumpkin hummus is perfect paired with baked pita chips, veggies, and used for meal prep. Have I saved the best for last? Quite possibly. If chocolate hummus sounds strange to you, I get it! 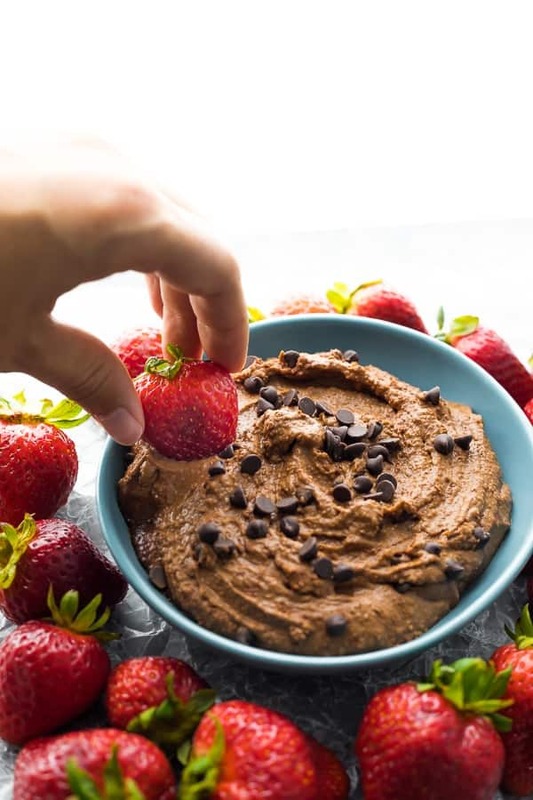 Instead of hummus, think ‘brownie batter’, because that’s exactly what this chocolate dessert hummus tastes like. Serve with pretzels, cookies, or fresh fruit. YUM! Fill a medium pot with 1/2 inch of water. Add sweet potatoes and 'steam' for 10 or so minutes, until sweet potatoes are completely soft. Drain and rinse under cold water. Cool slightly. 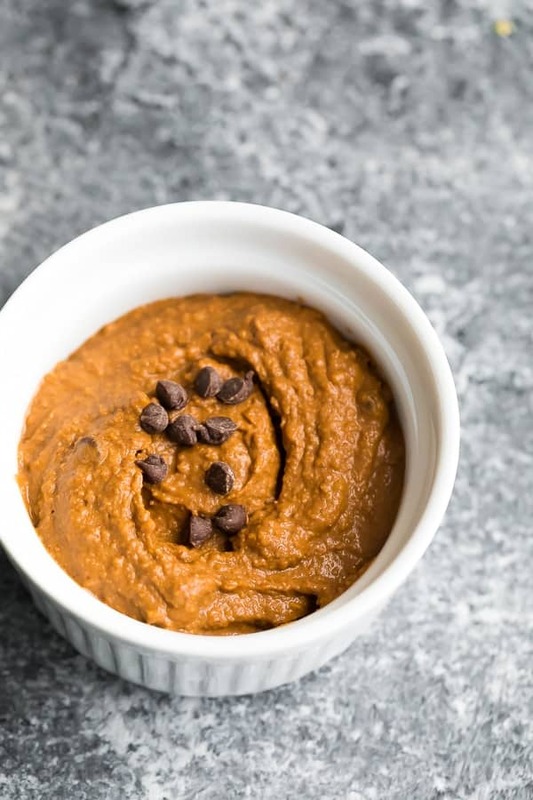 In the base of a food processor, combine 1/4 cup of liquid from the can of chickpeas with cooled sweet potatoes and all other ingredients EXCEPT for the chickpeas. Blend for 1 minute until frothy. Add the chickpeas and blend for 1-2 more minutes, until smooth and creamy. Scrape down sides halfway through and add more reserved chickpea liquid if desired. Chop the top off a head of garlic so that the top of each clove is exposed (roughly 1/4 inch). Wrap the head of garlic in foil, leaving the top open. Drizzle olive oil into the foil-wrapped garlic, making sure it covers each clove (you should need 1-2 teaspoons total). Wrap foil up tightly and place head of garlic on a baking sheet or in a dish. Roast for 45 minutes (*see note), or until the top of the garlic is golden and it is soft throughout. Cool 10-15 minutes before squeezing the garlic cloves out. In the base of a food processor, combine 1/4 cup of liquid from the can of chickpeas with cooled roasted garlic and all other ingredients EXCEPT for the chickpeas. Blend for 1 minute until frothy. In the base of a food processor, combine all ingredients EXCEPT for the chickpeas. Blend for 1 minute until frothy. In the base of a food processor, combine 1/4 cup of liquid from the can of chickpeas with all other ingredients EXCEPT for the chickpeas. Blend for 1 minute until frothy.